It is important to take care of Mother Earth. What we take from it, we should put back. This can be said for the soil that allows plants and fruits, and vegetables to grow, so we may enjoy them. Going green is one of the first steps to take. If you enjoy your color flowerbeds and growing vegetable garden, or are just earth conscious, then composting is a way in which we can do our due diligence in maintaining balance when it comes to nature. With different methods to recycle garbage and dirt, here are a few composting machines and gadgets to get you started in living “the green life.” Green waste disposal helps our surrounding clean and prevents a clogged in our drainage. The term “compost” is the mixture of decaying plant, animal and other organic materials that are decomposed through aerobic decomposition. The combination of the materials turns into a rich, black soil, used for planting and gardening. The soil that comes from composting is good for the land because it acts as a fertilizer and conditioner. 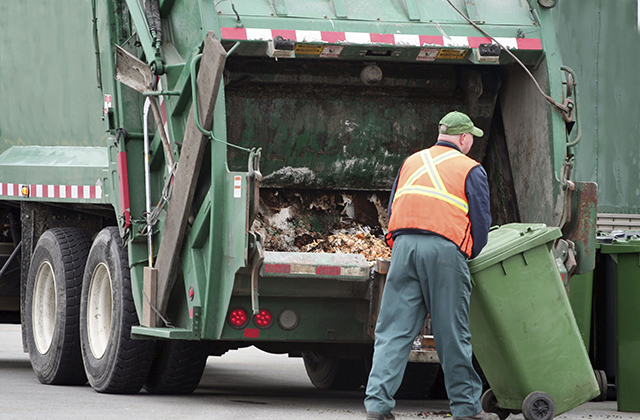 With a growing concern for space for landfills, there has been a growing interest in recycling by means of composting. Utilize the power of composting by recycling old every day scraps and organic materials into nutrient rich mulch and compost for your yard or garden. What remains after these organic materials are broken down with the help of a composter is the rich, earthy substance your garden will love. Save money and enrich your plants with healthy nutrients with your own home-grown compost. Begin your own composting farm with a worm farm. It consists of two sturdy polypropylene boxes, nested inside each other. The upper box has a perforated floor and a lid, and the lower box is fitted with a drain sprout. By having the worms in the top portion of the bin (kitchen scraps/organic waste is placed) the waste (liquid) filters through the perforated holes into the bottom bin. This can be combined with water for use as an organic fertilizer rich in nutrients. As the worms actually eat the bacteria in the decomposed food, there is no odor to worry about, just simply add your scraps and see the results! Worms used in your Worm Farm need to be special Composting Worms (red worms). They are fast breeders and can consume their own weight in food in twenty-four hours. One thousand worms are all that is required to start off the farm (two thousand if you want to be up to capacity in a hurry). Each worm produces an egg capsule approximately every two weeks, with each capsule containing between five and fifteen worms. These eggs hatch in three weeks time, and are mature within three months. The worms will breed to the environment, so if you reduce the amount of food, so too will the worm population decrease. It will be amazing to see how these worms turn garbage into soil! The Tumbleweed Pet Poo Converter consists of two sturdy nesting boxes with a lid, which form a neat, compact portable unit. The worms eat and breed in the top box. This has a perforated base to allow any liquid waste to drain through to the bottom collection box. The “worm poo” or worm castings remain in the top box and can be harvested as desired. The bottom or catcher box collects the valuable liquid waste which can be diluted and used as a fertilizer on your garden. There is no difficulty in getting the worms to eat dog droppings. Commercial worm farmers rear their worms on manure. However, it is not possible to mix diets. They must be fed exclusively on pet poo. If you want to recycle vegetable scraps you must set up a separate farm. This composting machine is constructed of UV treated high polypropylene hardened plastic, and weighs about ten (10) pounds. The composting worms are not included, but can be purchased at your local pet store or soil and garden center. Get the entire family involved in recycling with the kitchen compost pail. Teach them the importance of recycling and not letting any food go to waste. It is a simple, yet effective way of contributing to the “green” cause. And everyone will feel as if they are playing a role in saving the earth. The kitchen compost pail is the ideal tool for collecting food scraps for your compost pile. You won’t be embarrassed to have it sitting next to your sink, and you’ll find yourself telling visitors about the benefits of composting when they ask what it is. The white enamel powder coated compost pail has a carbon filter to keep any smells contained when the lid is closed, and a handle to easily carry it outside to the compost bin. The pail is made of durable 18/8 stainless steel, and holds 1 gallon of kitchen scraps and other organic materials. Previous Previous post: Want To Broaden Your Arts And Crafts Skills? Try These Tips!